I would like to talk about all the many different types of “HEROES” I have had the privilege to either know or be around during and after my careers as a police officer/detective and deep-cover black operative. Heroes come in all sizes and shapes. They can be men, women, children, and even animals, especially dogs. As you may or may not know, about a year and a half ago I became involved with a charity called Mission K9 Rescue. (The following information is taken from www.missionk9rescue.org). 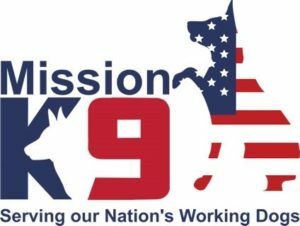 Mission K9 Rescue is a nonprofit organization dedicated to the service of retiring and retired Military Working Dogs (MWD) and Contract Working Dogs (CWD). Mission K9 Rescue, Reunite, Re-Home, Rehabilitate and Repair any retired working dog that has served mankind in some capacity. Rescue – Any and all CWDs and MWDs as well as any other working dog that may need help. Mission K9 Rescue is committed to saving them and giving them the retirement they deserve. Whether it be bringing them back from overseas or rescuing them out of a poor environment stateside. Reunite – Any retired working dog that has a handler that wants him, and has proven that they are the right home (handlers always get first preference) Mission K9 Rescue will see to it that the dog is transported to the handler. Re-Home – Any retired working dog that does not have a designated handler, Mission K9 Rescue will work to find the perfect loving home for the dog. Rehabilitate – Often retired working dogs have been in situations that can cause them severe anxiety and stress. Many retire with issues such as Post Traumatic Stress Disorder. These dogs need time to decompress and reintegrate into society. Mission K9 Rescue works with these dogs in order to get make the suitable for adoption. Repair – Working dogs train like professional athletes their entire career. Often times when they retire, they have extensive medical issues that can become quite costly. Since they don’t receive retirement benefits, Mission K9 Rescue provides much needed funding to assist handlers/ and or adopters with medical bills. MWDs and CWDs work alongside one another protecting both US and Coalition Forces in all areas. They bring life-saving capability to the fight against Terrorism regardless of the initials (MWD or CWD) which precede their names. OWNERSHIP: CWDs are owned/trained by private companies and are contracted by the Department of Defense(DoD)to work in the same Areas of Operation performing the same jobs as MWDs. MWDs are owned by the DoD and assigned to the various military services. DEPLOYMENTS: CWDs are not deployed with a Military Unit. They are sent overseas and can be attached to Military Units or assigned to other areas as needed. In most cases, they do not return home from deployment until they are retired. MWDs go to and from their assigned bases with one handler and return to that base when their allotted deployment time is over. HANDLERS: For CWDs, many handlers are prior Military or Law Enforcement K9 Handlers. CWDs can change handlers frequently within the contract company. MWDs may have the same Active Duty Military K9 Handlers for two to four years changing handlers only when the military member transfers (PCSs) from the kennel however, depending on the need or circumstances, they can be assigned a new handler at any time. BREEDS UTILIZED: CWDs and MWDs can be German Shepherd, Belgian Malinois, Labrador Retriever, Springer Spaniel, German Shorthair Pointer, Vizla, Weimareiner. In addition, the Jack Russell Terrier is used by the DoD for Narcotics Detection on Submarines. One of the mechanisms many of us use in their daily lives to escape the hum drum and never-ending bad news of the day is to read thriller novels where you can meet and get to know the heroes of your choice and follow their adventures. Some of the great characters you will love to read about are from authors like, Vince Flynn’s – Mitch Rapp, John Gilstrap’s – Johnathan Grave, Ben Coe’s – Dewey Andreas, Lee Child’s – Jack Reacher, or Leo J. Maloney’s – Dan Morgan. Each one of the above characters are great American “Heroes,” but they are all fictional. 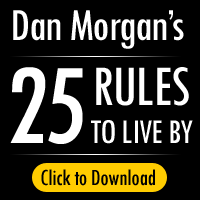 The people I have talked about in the blog are real and deserve your respect and admiration. When you see or have the opportunity to speak to any of them, you should walk up to them and thank them for their service to our great nation or your community. Lastly, I want to talk about all the PARENTS who don’t always get the credit they deserve. Most parents work and make many sacrifices to provide a good home, education, and good life for their children. Many work two and three jobs to provide for their families, sacrificing their own personal dreams. My father was and is my special “Hero.” When I was very young he taught me right from wrong and all about sports and fair play. He taught me to defend myself but also instilled in me the courage to defend and watch out for those who could not take care of themselves. He showed me by example how to treat and respect women. A great role model, he demonstrated strong work ethics and emphasized the importance of family and the sacrifices that fathers make for their family. He taught me how to be a man and countless other things, but the lesson that stands out in my mind the most is that he taught me to Love, Honor, and Respect our great Country. In this very chaotic day and age the world needs heroes. They are out there. You just need to recognize them and keep them in your thoughts and prayers.